We have known Prasad Deshpande since long. He is a writer and a poet who writes proficiently in three languages. It's one of his dream to promote the concept of Shayari to the world. 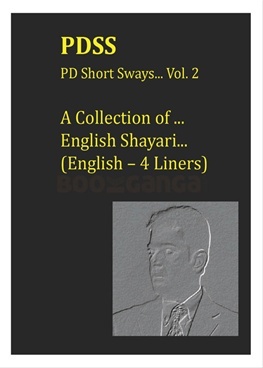 We already have various poets who write Shayari and this format is available in many Indian languages... But, they are restricted to only India and neighbouring countries where it is popular. So, he wrote Shayaris in English so that many more people can enjoy this format and maybe start contributing in their own way. We wish him All the Best that this dream becomes a reality and we get more and different versions to read and enjoy Shayari. A Tide In The Affai..